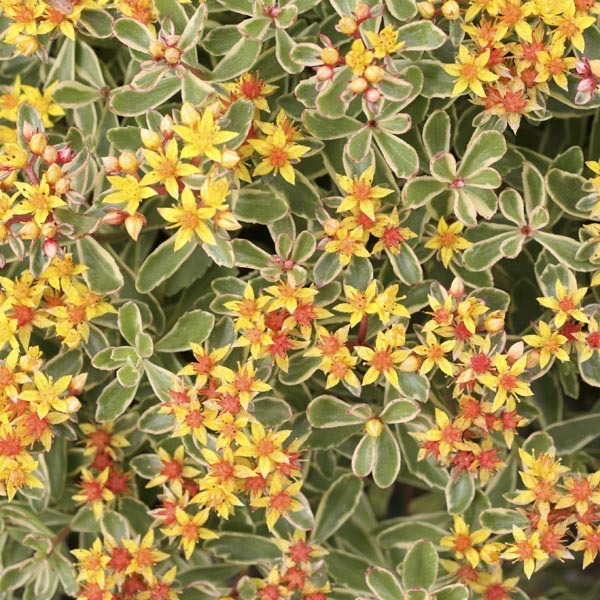 A colorful, clump-forming Sedum that provides interest over a very long season. Green leaves have cream margins that often become tinged with pink. The blooms begin sunny yellow and age to orange. Wonderful for brightening plantings of green or blue-leaved plants. Classic plants for rock gardens! Looks great filling in between rocks and spilling over container edges. Perfect selection for filling in between paving stones.